Zark’s Burgers Jawbreaker Day is back! 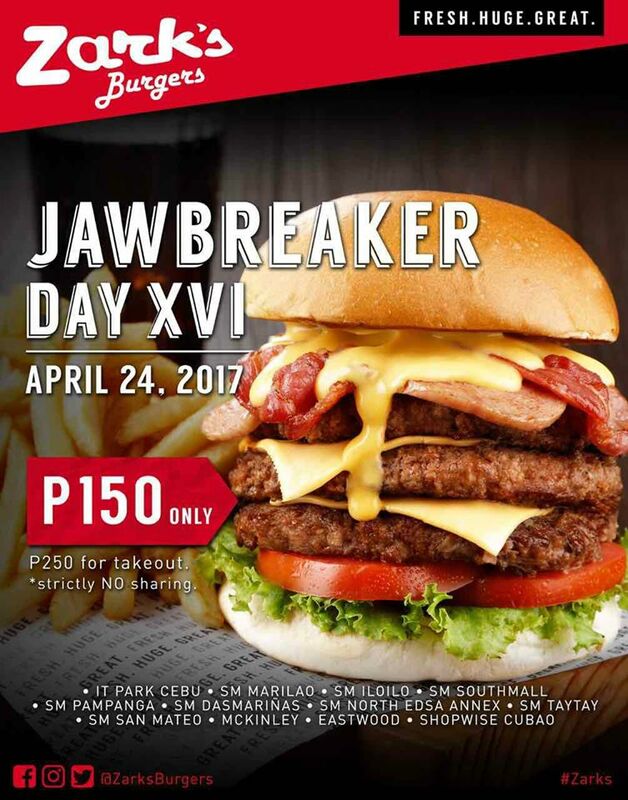 Zark’s Burgers is set to start the week with the 16th edition of Jawbreaker Day on April 24, 2017. 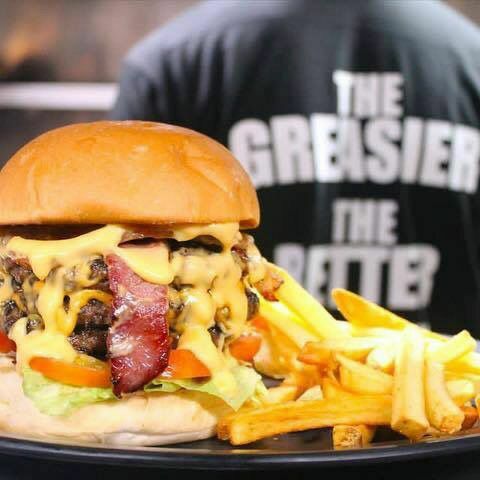 The Jawbreaker Day is always considered a HUGE hit especially among the burger lovers. They get to enjoy a mammoth-sized burger that consists of 3 quarter-pound patties, 2 slices of Spam, bacon strips and veggies. This masterpiece is generously covered with melted cheese with hot fries on the side. You can have all of these, plus a glass of iced tea, for only Php 150.00 from the original price of Php 349.00. 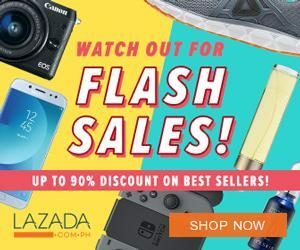 That is a massive savings of Php 199! NOTE: Though our parents taught us to always share our food, this offer is STRICTLY NO-SHARING. But you can have a this as a take-out order for only Php 250.